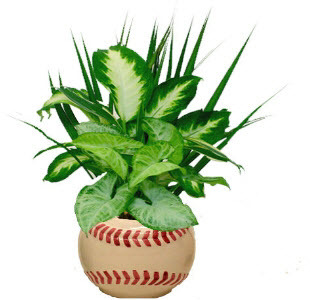 Baseball planter gift delivery in Fort Worth, Arlington, Benbrook, Burleson, Colleyville, Crowley, Grapevine, Hurst, Keller, Mansfield & Southlake, TX. Send a custom handcrafted and uniquely designed flower arrangement of our best selling seasonal flowers for delivery to your special someone from you today! 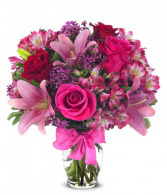 Brighten your special someone's day in Fort Worth with the inspirational beauty of flowers. 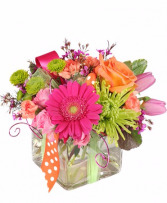 Send this flower bouquet today, just because!